Written by Nicole Kohler on January 20, 2016 Blog, Search & SEO, Start your store. An eCommerce website is made up of many moving parts: the shopping cart, the order confirmation page, and so on. You might think that every one of these pieces and pages exists to serve your customers in some way, but some of them exist almost solely to serve search engines. A sitemap is one such page. Your customers will probably never find your sitemap useful, but to search engines, it’s one of the most useful components in existence. Having one can improve how well your store is reviewed by search engines, and how visible each of its pages might be in searches for related keywords or phrases. If you’re curious about the necessity of sitemaps for eCommerce, how having one can improve your store, and how you might even be able to take your existing sitemap to the next level, we’ve got you covered. Pack your bags and come along with us on a journey into the world of sitemaps. Put simply — and as you can likely guess from the name — a sitemap is a map of your site’s contents. Google has a helpful page here that briefly explains what a sitemap is, what formats they can take, and what they are used for — a good read if you’re encountering this term for the first time. Sitemaps typically take the form of a long list of links. Some sites have HTML maps accessible to all visitors (look in the footer for a “sitemap” link), while others rely solely on an XML file that is submitted directly to search engines. 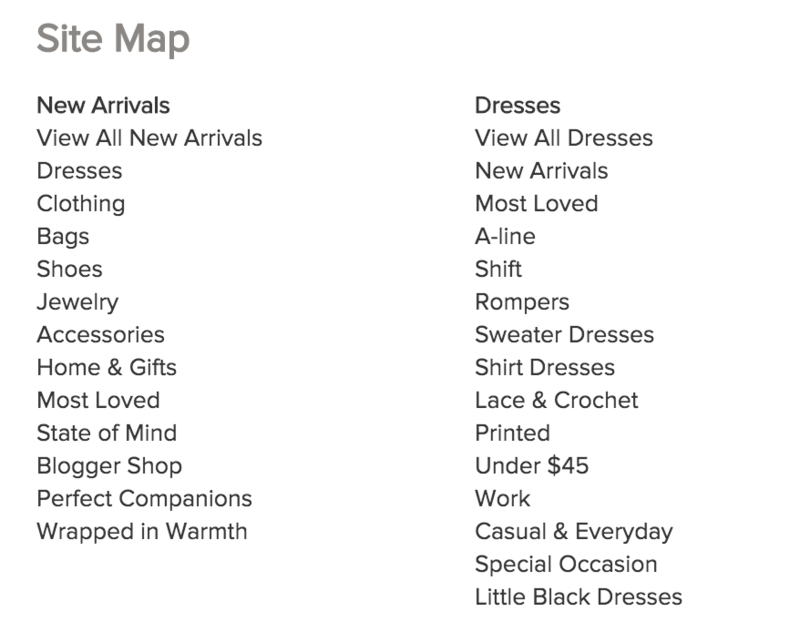 Here’s an example sitemap from a clothing store. All the text shown here is clickable links that lead to category or landing pages. The current accepted standard is to at least have a sitemap in XML format (and we’ll explain the benefits of that shortly). Having a visible sitemap page is optional. The navigation you’ve added to your store’s header and footer are for shoppers trying to find their way around. Whether you have menus, links, search boxes, or all three, these functions exist for humans. Sitemaps, on the other hand, aren’t meant for humans at all. Although your shoppers certainly could use them to find a specific page or destination, their primary purpose is to help search engines index your site. A sitemap tells a search engine “these are all the pages available here.” The search engine is then able to quickly add these pages to its “index” — basically, the giant library of every website and individual page it knows about — and review its data to determine which search queries it is relevant to. If a product page is included in your sitemap, a search engine can easily find and index it, which means shoppers looking for something specific from that search engine will be able to find it, too. If a sitemap isn’t useful to your shoppers, you might not see much of a point in having one. Also, it’s true that search engines can crawl and index your store without an XML file, so if your site is small, you might not see the use. However, even if you have a very small store, there are several advantages to providing search engines a sitemap instead of assuming they will crawl and index your site over time. Why wait for them to come to you when you can force them to show up? 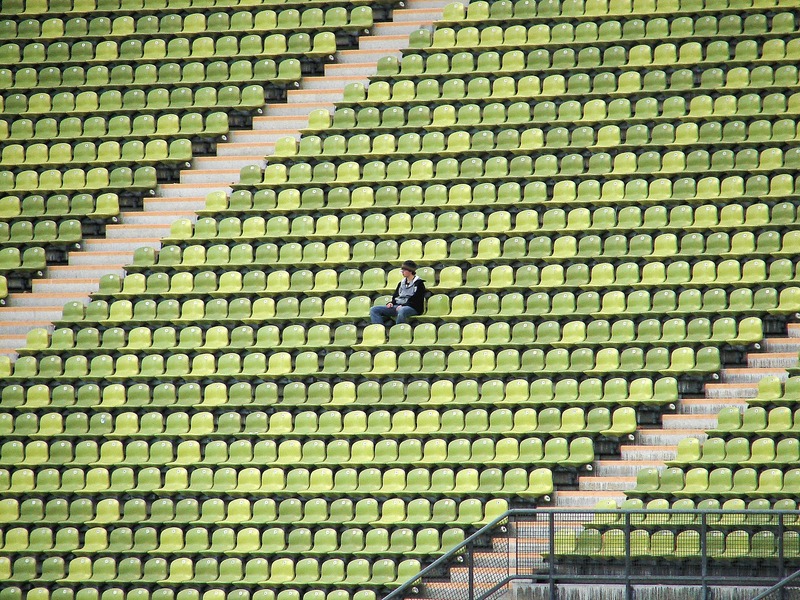 Erm… surely someone will find me soon… right? New pages can take a long time to be discovered, especially if they aren’t linked heavily from other product pages. Your product images might not be included in image search results, because they’re largely dependent on sitemaps to be indexed. Updates you make to pages might not help your rankings for a long time, because you aren’t providing search engines with valuable metadata (including when the page has been updated). The fewer links your map-less store has, the more likely it is to be excluded from searches, because Google doesn’t yet know about all of your pages, your store’s relevancy, and whether or not it can fully trust you. Essentially, all these SEO little factors add up. The long and short of it is this: without a sitemap, search engines can and will still crawl and index your store for inclusion in search results. But a sitemap makes the process much, much faster. The good news for you is that getting a sitemap isn’t a complicated process whatsoever. It should only take you a few minutes of work between generating the XML file and submitting it to Google, Yahoo!, etc. We’re going to focus solely on how to create the XML version of a sitemap and not an HTML (stylized, on-site) one. If you’re looking for some tips on HTML sitemaps, have a look at this article. If you’re using WooCommerce, the free Google XML Sitemaps plugin for WordPress is all you need to get started. This lightweight plugin will generate and update your sitemap every time you modify your site (which, in turn, ensures that search engines get the latest information). A sample sitemap generated by the plugin. If you’re already using the Yoast SEO plugin for WordPress, you can also use this to create a sitemap. Not using WooCommerce? Not to worry: you can find instructions on creating an XML sitemap by hand, or via other resources, on sitemaps.org. Once your sitemap is generated, you’re golden. Well… almost. Submitting the XML file via Google and Bing’s Webmaster Tools. … and replace “woostore” with your domain. 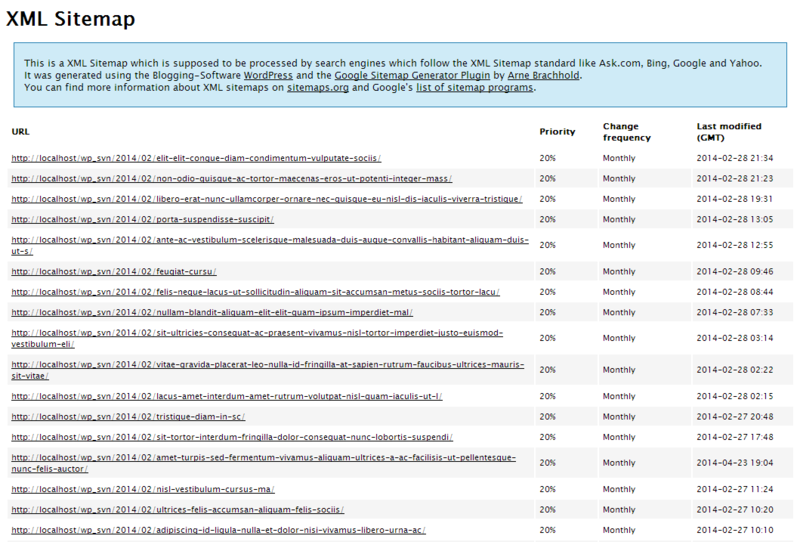 This will tell any search engine crawlers where your sitemap is located so they can index it. If you’d rather submit the file via Webmaster Tools, you will need to sign up for Google and Bing’s WMT accounts first. Once you are signed up and your store has been verified, follow their instructions to submit your sitemap. Note that submitting via this method will only cover the Google, Bing, and Yahoo! search engines (Bing’s Webmaster Tools also covers Yahoo!). So if you are concerned about smaller search engines and comfortable editing your robots.txt file, consider that instead or even along with the WMT method. 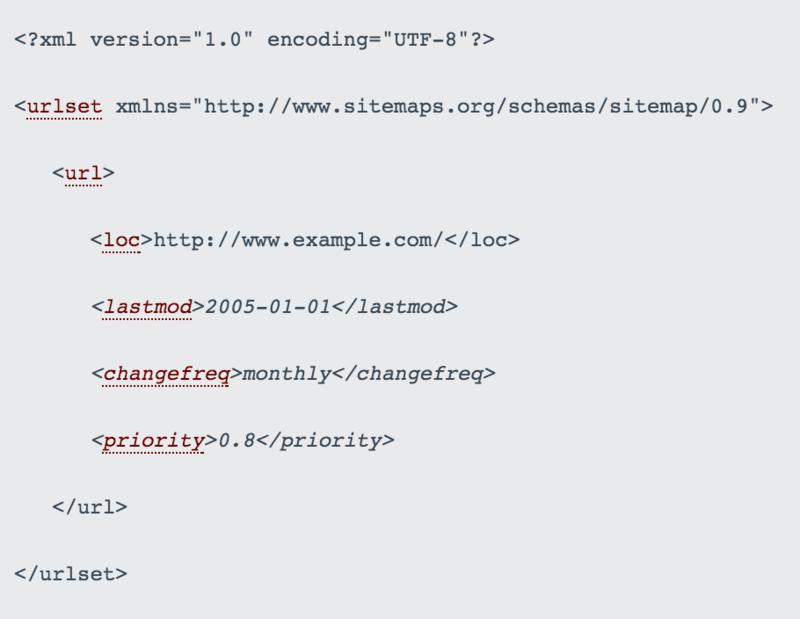 Here’s the good news: if you’re using a plugin to generate an XML sitemap for you, the XML file will be automatically updated with any changes you make. This includes any changes to URLs or metadata (specifically, the “last updated” date). If you’re creating an XML or HTML sitemap by hand, you’ll need to manually update your sitemap and replace the file(s) in your site directory each time you make a change. As for having your sitemap crawled again by search engines, it will happen — regardless of the method you used to initially submit it — at a frequency pre-determined by the engines’ crawlers. But if you make major changes, you can force an immediate re-crawl of your site. Here’s how. While most components of your online store are meant for humans, the sitemap is one that’s meant for, well, robots. But it can have a big impact on how your store is found in searches, which is why it’s so important to make sure you have one! Have any questions about your store’s sitemap or how you can create it? Feel free to comment below — we’re always happy to help out. Thanks for sharing this article on Sitemaps, i wanted to ask you , I do have an eCommerce site and i was wondering if it is necessary to build a Site Map where my clients can navigate, i am not talking about sitempa.xml , but a site map as a page. Hi Emilio, thanks for your comment! A sitemap in page format is something you might see on a few sites here and there but it’s largely been replaced by XML sitemaps now. If you have an XML sitemap for search engines and a different form of site navigation for potential clients or customers, you don’t need another sitemap. However, you can absolutely still build one if you prefer to do so. Sitemap is really matters for Google indexing. From our experience It’s good to at least 1 time / month to update the sitemap to Google Webmaster Tools, so better exposure on Google search algorithm. every thing is ok But i want yahoo and bing to crawl my web site very day what to do for that? i am having WordPress website is there any plugin that i can use?